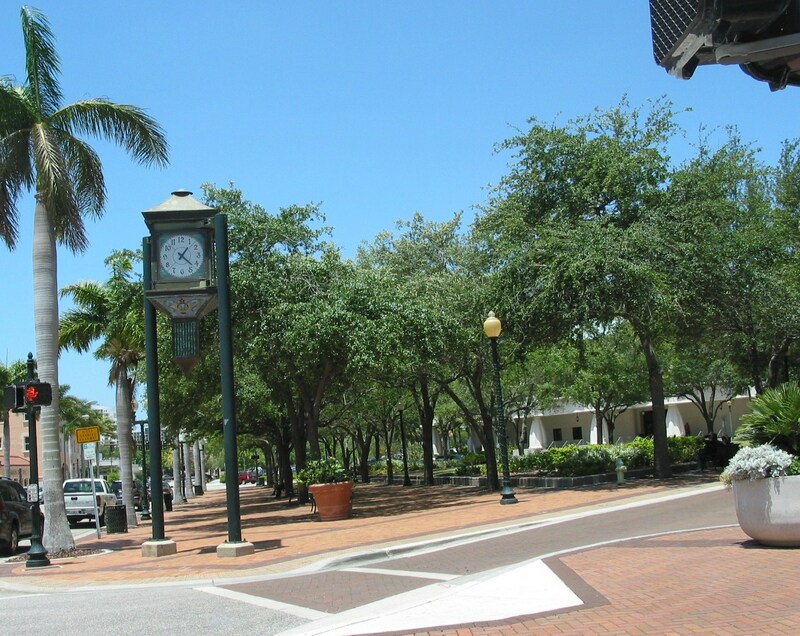 Downtown Sarasota was one of the reasons we chose to move to this area. 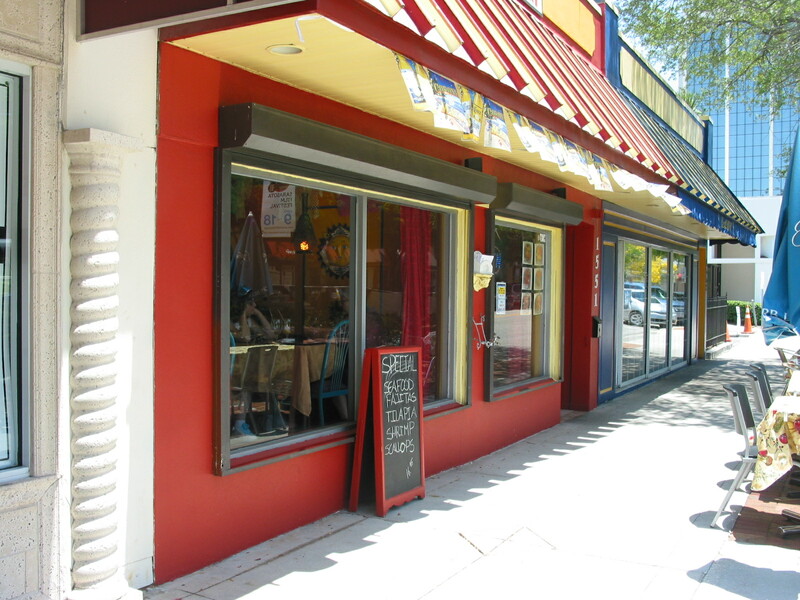 It’s an approachable, walkable downtown where tourists and residents can safely stroll enjoying the multitude of opportunities to shop in the small stores, to dine in an ethnic restaurant, or to listen to music in a nightclub. There are special events, festivals, and parades all year round and each Saturday morning there is a Farmers’ Market. It’s a vital hub for this city of approximately 50,000 residents. Sarasota is a dog friendly place. Some restaurants even have designated outside areas catering to people who wish to have their dogs accompany them. 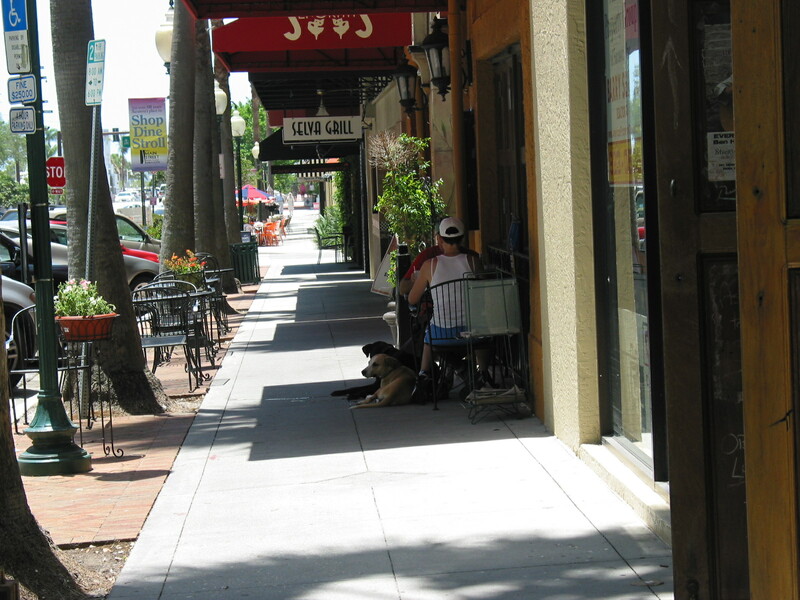 It isn’t unusual however to see people seated at an outdoor table on the sidewalk with their pooches at their feet. 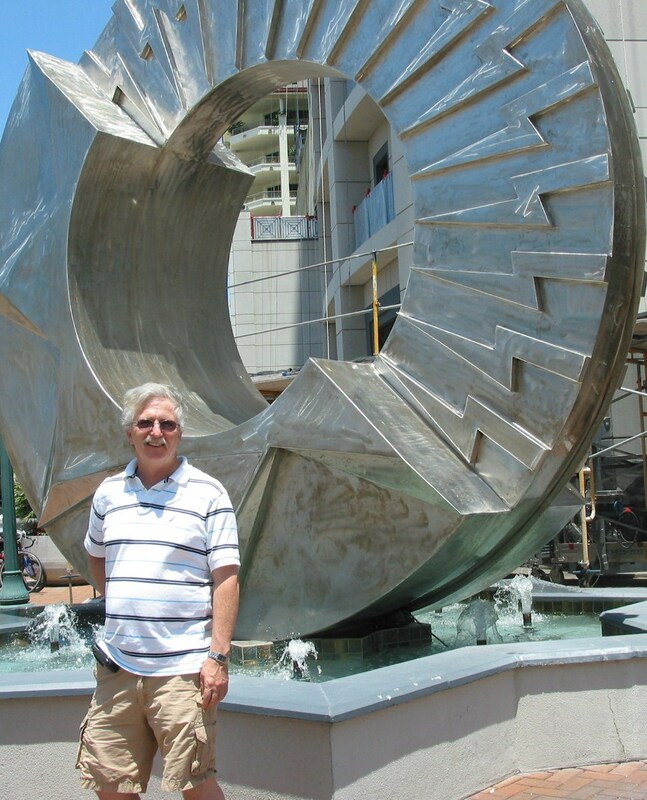 Artwork abounds throughout Sarasota and one of my favorite pieces is right on Main Street. Recently we found two more reasons to visit the downtown – Mexican restaurants. Bob and I love Mexican food and eat it probably no less than 3 days weekly. Corn and flour tortillas, good salsa, and the makings for simple burritos or nachos are always available in our house. Even when we go out to dinner, it isn’t unusual to head to a favorite Mexican restaurant. On the west coast it’s easy to find excellent Tex Mex restaurants. In fact, it’s almost impossible to get bad food as long as one stays away from the chain restaurants. But we have had to search harder on the east coast. In Pearl River, NY (within easy commute from our Westwood, NJ home) we favored La Cocina on Main Street. The owner had quit his demanding job building malls and decided to do what he loved. It was a little hole in the wall place in the midst of a town known for having more Irish per capita than any other place in the US except Boston. The margaritas were made with fresh squeezed limes, the refried beans were from pinto beans, the steaks were delicious (albeit not authentic), and the chefs were all from Mexico. We weren’t as fortunate to locate the same quality of this cuisine near Deer Isle although The Mex on Main Street in Ellsworth did sell incredible hot sauce. 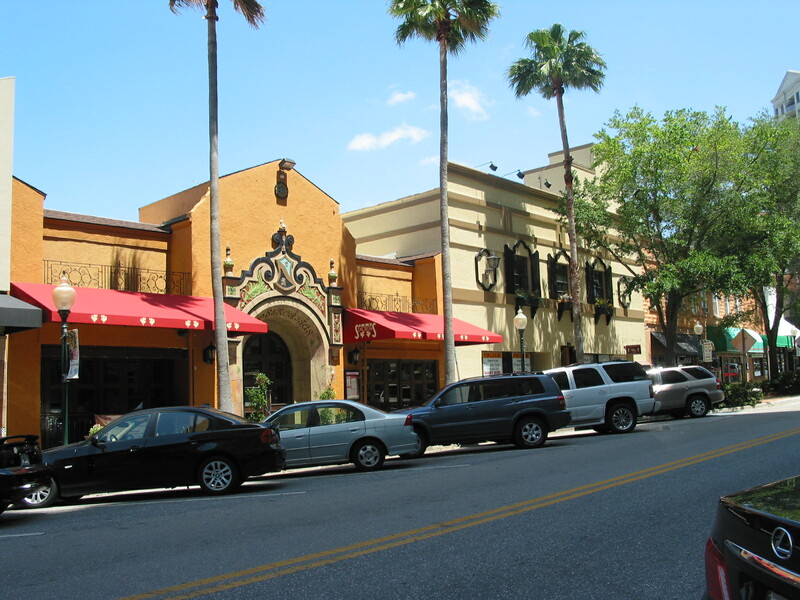 We have eaten at two Mexican restaurants in downtown Sarasota and give a thumbs up to both. Two Senoritas restaurant (www.twosenioritas.com) is right on Main Street. The restaurant is a beautiful testimony to classic Mexican motif, and one feels as though you have entered the courtyard of a wealthy Mexican family. The salsa is delicious, the chips are fresh, and there is a luncheon menu that accommodates the desire to eat less and pay accordingly. I loved my marinated chicken burrito which was covered with a delicious sour cream sauce. I have a feeling the full service bar is quite active on Friday and Saturday nights. There is even a cantina menu with dishes for $4.99 if one eats at the bar or in the lounge. 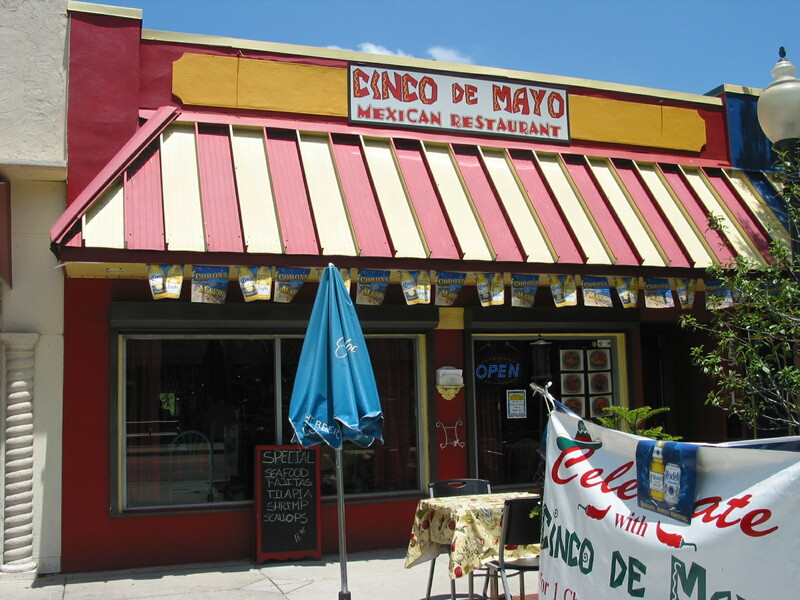 The other restaurant, Cinco de Mayo (www.cincodemayosarasota.com) is around the corner and also on Main Street. While Two Senoritas had a classy ambiance, this one is more fun with its bright yellow and orange motif. The waiter and waitress were very attentive and were having a good time with each other and the customers. The salsa was lacking but the food was delicious. I had a pork tamale with chile con carne sauce that was perfection. I recommend them both and they are both quite reasonable. 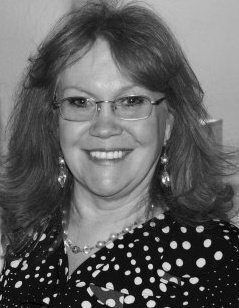 Two out of two is great….I’m looking forward to trying more in the area. This entry was posted in Accommodations and Restaurants, Bob Wilson Photos, Florida, Retirement/Reinvention and tagged best vacation, Bob Wilson, downtown Sarasota, family vacations, Mexican food, Mexican restaurant, retirement, Sarasota, vacation spots. Bookmark the permalink.